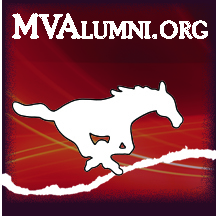 Alumni Association -- Mount Vernon Community School District - HERITAGE DAYS ALL-ALUMNI & COMMUNITY RECEPTION - AT A NEW LOCATION! HERITAGE DAYS ALL-ALUMNI & COMMUNITY RECEPTION - AT A NEW LOCATION! Visit the Alumni-Community Reception area up town, this year IN A NEW LOCATION -- THE OLD FIRE STATION BUILDING, on Friday from 4-9+ pm and Saturday from 11:30 am-until dark or after. Selling some yummy ice cream and suckers. Play some bean bags. Make the reception area your meeting place and come to view displays, have your picture taken, or grab some cold water. Who will you see there?